The National Sheriffs’ Association (NSA) came out in favor of the Department of Justice (DOJ) Thursday in Attorney General Jeff Sessions’s push to withhold funds from Chicago and other sanctuary cities. The NSA — which represents more than 3,000 sheriffs nationwide — will file an amicus brief in support of the DOJ in ongoing litigation between Sessions and the city of Chicago, The Daily Caller News Foundation has learned. Chicago sued the DOJ in August over his order to withhold certain funding grants from sanctuary cities, and the city won the case in September, but the DOJ has appealed the decision. Notably, the judge’s September ruling included a nationwide injunction on Sessions’ order, which effectively blocked funds from reaching non-sanctuary jurisdictions as well. The actual federal grants involved are the Edward Byrne Memorial Justice Assistance Grants. Chicago received $2.3 million in Byrne JAG funding in 2016 and has applied for $2.2 million in 2017. 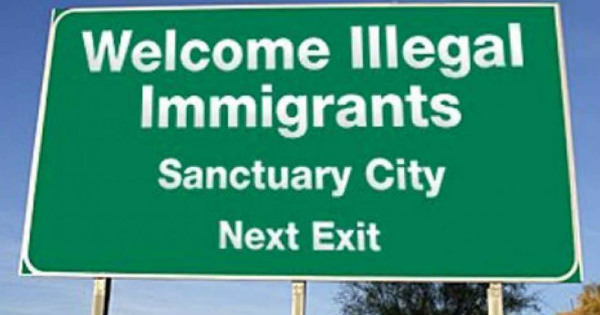 The DOJ hopes to impose requirements that, in order to be eligible for funding, cities must share immigration status data with ICE officials, not bar ICE officials access to police stations, and give ICE officials 48 hours notice before releasing illegal immigrants from detainment. Chicago argues the requirements are unconstitutional and that Sessions has no authority to impose them. The NSA has until Dec. 15 to file an official amicus brief to the 7th District Court.